We all know the power that Avid Pro Tools brings us, and if you’re pairing it up with some gear you’re going to want the best of the best. 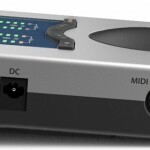 What’s even more pleasurable here is knowing that another popular brand, Apogee Electronics, known for bringing extremely high quality audio interfaces in particular has paired up with Avid to bring us some new gear. It’s a part of their “Avid Everywhere” program they’ve recently introduced and in our opinion is very smart marketing. They allow even more specific gear to be accustomed to software, which is only a plus for us gear heads. 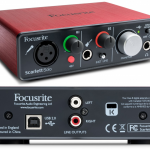 This particular audio interface is super powerful and most noticeably has some of the best audio quality we’ve heard. You get multiple ins and outs in their breakout cable along with USB connectivity to work with both Mac and PC, as well as some LED visualization to give us a very complete package. Did we mention that it comes with Pro Tools 11 as well? Let’s take a further look into the Avid Pro Tools Duet audio interface. Right out of the box we’ll notice that it comes with the full version of Pro Tools 11 software, a huge benefit of the partnership here. If you’re looking to buy PT and want to save some money, this is the package to grab. 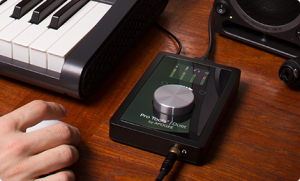 The Duet is specifically “designed” for Pro Tools, but works with any digital audio workstation you’re currently using — there isn’t any sort of special compatibility or anything like that. The big knob you see at the top lets us adjust quite a few functions: control multiple input levels, speaker level, as well as headphone volume (tapping it will change what you control). There are also two soft buttons near the knob which allow you to control meter clearing, mute, dim speakers or a few others you can assign to them (in the PT I/O control software). You get a full color, high-res OLED display for in and out levels\settings on the front as well. The whole thing is powered via USB 2.0 (comes with the cable as well as a power supply — note that you need to use the DC supply if you’re a PC user) and it’s compatible with both Mac and Windows. This is pretty awesome because a lot of Apogee users have wanted their special sound conversion but it’s typically been only able to work with Mac, so this is a different spin on it if you’re a Windows musician (like myself). As far as inputs go, you get a decent choice as it is a 2 in 4 out interface. 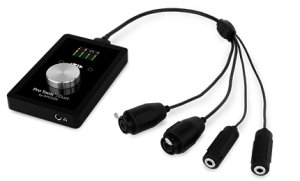 It comes with a special combo mic/instrument/line cable (XLR and 1/4″). The outputs come with four analog choices as well: Two 1/4″ balanced line/speaker outputs and a built-in 1/4″ stereo headphone out. No direct MIDI here but you can plug that in via USB, so the way of getting around a clunky interface here is Apogee’s incorporation of the special breakout cable (comes with it). Perfect for traveling or merely fitting in nicely into your existing studio setup. As mentioned before, the 24-bit/192 kHz is extremely powerful. 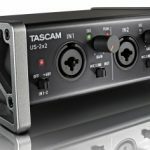 As compared to other models in our best audio interface article, most of the “budget-friendly” are going to give you 24-bit\96 kHz at best. This thing is twice the quality, offers some very warm sound that’ll ensure your tracks are crystal clear. It really doesn’t matter what you’re recording, as you can even use it to record on-the-go because of it’s small size and light weight. If you’re concerned with quality here, do not be — it’s professional sounding. You get extremely low-latency recording, so anything you want put into that track real-time you’re going to get, no pesky lag here. The mic preamps (two of them) built-in are also of nice quality, allowing gain to be turned up to 75 dB. 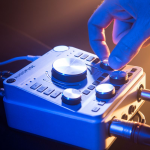 Great phantom power for your condenser microphones and other instruments you need to be beefed up. As stated previously, comparing this to other interfaces that are popular in the market isn’t really fair. This thing exceeds most interfaces by far, and the price tag will also justify this. 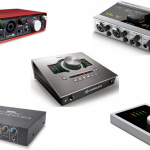 A popular comparison already is between the Duet and the Mbox Pro 3rd generation. The Mbox is a bit cheaper but one can argue there aren’t as many features and it doesn’t sound as good. 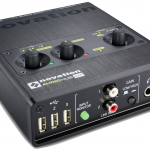 What probably makes this audio interface a steal is the fact that it comes with Pro Tools 11 (full version), so if you’re looking to buy that as well, as stated previously we recommend grabbing this immediately. It’s the perfect fit for those needing a DAW and an interface at the same time. Just know that if you’re still needing to learn Pro Tools, you’re going to have a big task ahead of you. Not that it’s impossible, but there are literally classes offered in learning the software for a reason. The only other con we’d see is the fact that it’s priced a bit higher in terms of comparing to others like it, but this interface is definitely not cheaply made. The sound quality, Pro Tools 11 bundle, external control and overall build make it one of the best interfaces in the market if you’re not on a budget. 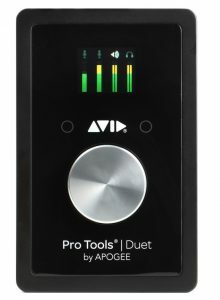 The Avid Pro Tools Duet audio interface is a professional piece of gear for the big boys.